The Cannabis Cup is the world’s top marijuana festival sponsored exclusively by High Times. 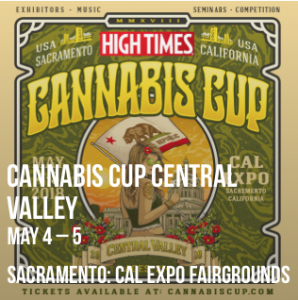 As the leading marijuana trade show the High Times Cannabis Cup celebrates herb through competitions, seminars, celebrity appearances, musical performances and more. And in case you didn’t know … it is currently (the best time of year) Cannabis Cup season! That’s right. For almost three decades, the High Times Cannabis Cup is known to deliver what’s best in the marijuana industry directly to consumers. Ultimately, it is how everyone in the cannabis community gets to know who killed it in the weed game this year in all categories including flower, concentrates, edibles and more. Each category has a 1st, 2nd and 3rd place prize, however not all of the results are listed here. In fact, while the Cannabis Cup is one of the most well-known and most recognized cannabis festivals around, most people don’t know that there are more than just one celebration. Here are just a few of this year’s highlights from the 2018 Cannabis Cup’s most recent events and what you can look forward to as the season continues. At the SoCal Cannabis Cup Event this year on 4/20-22 there were more than a few reasons to fall in love with Mary Jane. Besides all of the cannabis related products you could enjoy a smoke on the Farris wheel, play virtual reality games, satisfy your munchies out of food trucks, body painting, tattooing and even a petting zoo! SoCal Cannabis Cup musical guests included Rick Ross, Nas, Raekwon of WuTang Clan, Big Mike and 2 Chaniz. BEST SATIVA CONCENTRATE: Biscotti Live Resin Diamond Sauce by Team Elite Genetics, processed by Kind Bill/Ry Prichard. For more results, read on here. The Cannabis Cup Sacramento event on May 4-5th was also an event to behold and blaze. This was the first year that Sacramento was granted the marijuana use permit allowing all festival attendees to consume cannabis openly as long as they had a valid state issued ID and were over the age of 21. The Sacramento version of the Cannabis Cup 2018 marks the first time ever in California history that a marijuana permit was legally issued for the event and people were excited about the new atmosphere. 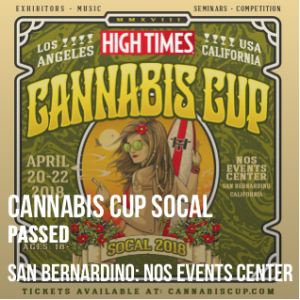 “A lot of people are always nervous when the first event happens because they don’t know what to expect,” said Matt Stang of High Times Magazine, the host of the event but things loosened up as people eased into the Cup. How Are Cannabis Cup Winners Chosen? Cannabis Cup entries each earn a score based on a digital system that delivers a qualitative score from the judges and then a quantitative score from laboratory data. After being tested and run through the judging panel each product receives a final score that totals 75% (aroma, flavor, visual appeal, potency) and the rest includes other factors and lab testing. The Cannabis Cup is an annual event designed for all types of hemp enthusiasts to enjoy. 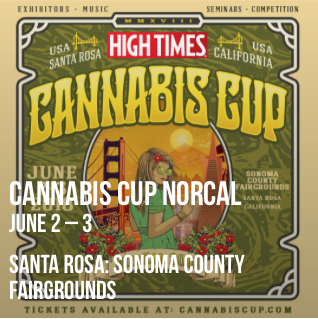 This year, if you missed the SoCal Cannabis Cup on 4/20-22 you can still plan to attend some of the other events later this year including the Cannabis Cup NorCal June 2-3rd in Santa Rosa. If you’re interested in taking your own harvest or product line to a Cannabis Cup event and competing, Learn More here. The competition has been around for nearly 30 years and ultimately began in 1988 in Amsterdam. Today, the Cannabis Cup is a worldwide competition held in over a dozen major cities in America, Europe, the Caribbean and Canada. Could you be next year’s Cannabis Cup winner? If so you could take home the newest artisanal Cannabis Cups. 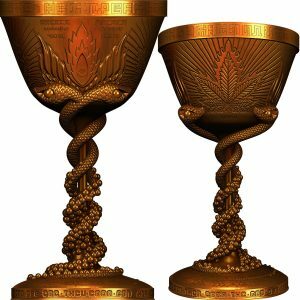 Made now with the unique styling of esteemed artists Alex and Allyson Grey to support ganja in all its forms its truly a celebratory chalice!